Requirements were REVISED effective on January 1, 2018. 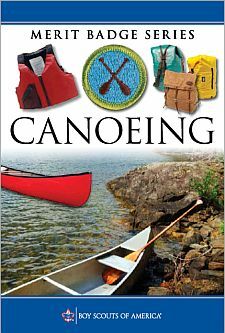 Using appropriate knots, including a trucker’s hitch, tautline hitch, and bowline, demonstrate how to secure a canoe to a vehicle or a trailer, or if these are not available, a rack on land. Canoeing. Those supervising canoeing activities must have either BSA Aquatics Instructor or Canoeing Instructor certification from the American Canoe Association, American Red Cross, or equivalent; OR local councils may approve individuals previously certified as such, or trained by an instructor so qualified.